My little girl loves to join in arts and crafts activities at the mall. Today she got the chance to join in the Fruit Ninja make your own bookmark workshop held at the eCurve. 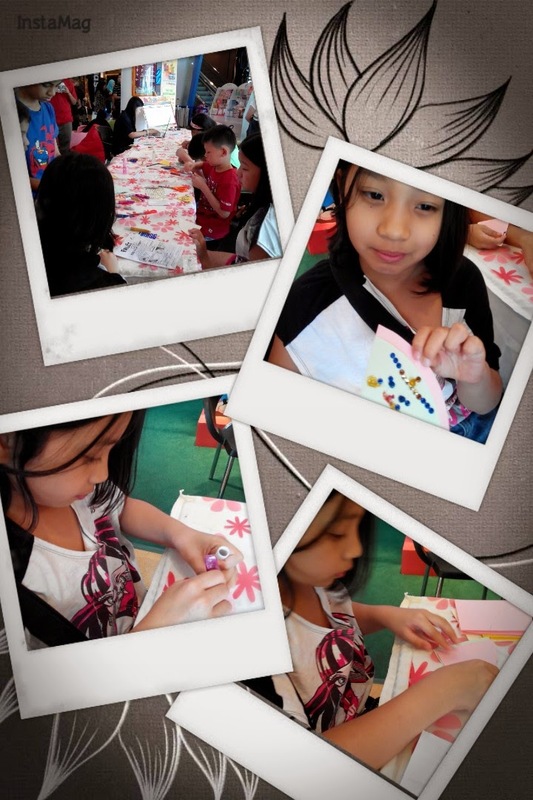 She had some fun creating it with coloured papers and also glitters and crystal stickers provided by the organisers.